With so many new spots opening up in Highland Park I decided to make breakfast a twofer with stops at Belle’s Bagels on York and Kindness & Mischief Coffee on Figueroa. The one and only word on Belle’s: GO. I’m not one for bandwagoning hot trendy spots because they usually disappoint but Belle’s totally delivered with their golden rings of doughy-chewy-yet-slightly crispy perfection. 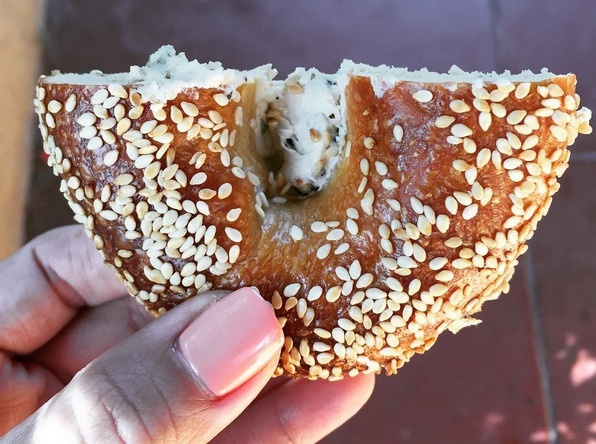 I am a bagel fiend…strike that…I am a bread fiend and Belle’s has had me fantasizing since my last bite of their sesame bagel with scallion schmear ($4). There’s usually a line and some mouthwatering specialty concoction like last week’s egg salad bagel but we lucked out by arriving at 7:30AM on a Thursday. 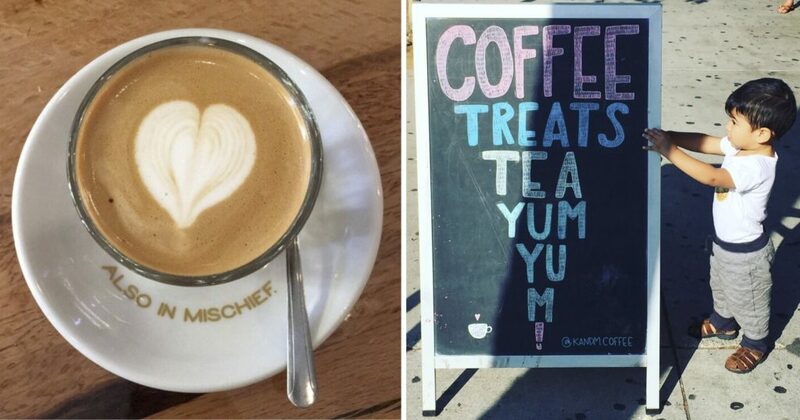 A quick drive down Fig brought us to Kindness & Mischief Coffee. If your read their bio and kickstarter, it’s hard not to fall in love with little place and its ray of sunshine proprietress Monique Maravilla.